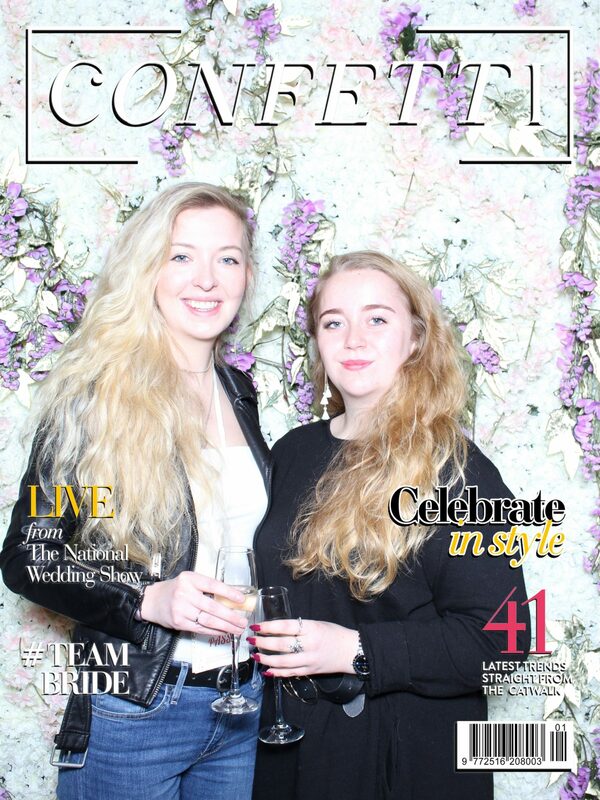 CONFETTI MAGAZINE wanted all VIP visitors to the National Wedding Show to be able to experience being the cover star on the front of their very own magazine. Our Smiley Booth design team worked closely with Confetti to design the cover text, image and set up with in the VIP area. VIP guests were placed into the magazine cover with a stunning foliage wall or flower wall as the backdrop. By producing larger than normal prints guests were able to get a real feel for appearing on the cover of a magazine. Of course the Smiley Station also added a touch of glamour to the occasion with its sleek and stylish design and LED lighting. 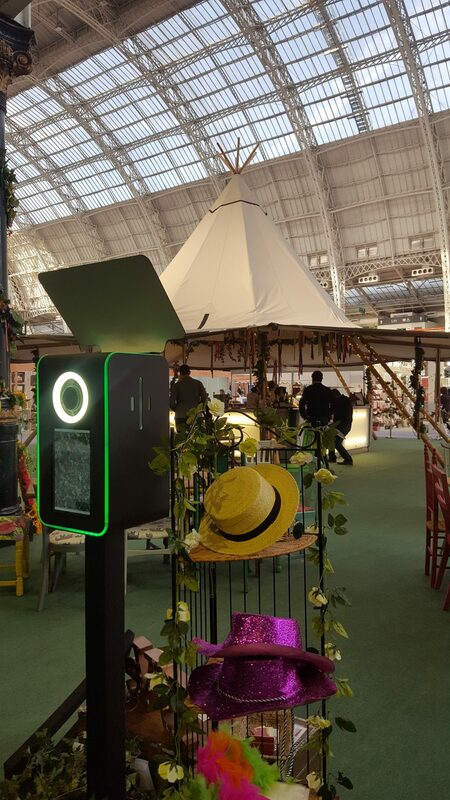 VIP guests could even send themselves the digital copy of their image by email or load it directly to their facebook or instagram page, right from the Smiley Station Photo Booth. As there is only one photo it was essential that that the guests were 100% happy with their image. We therefore used our live editing feature to make sure that every photo was absolutely perfect. We can redo the image before printing and adjust size and colour, lighting balance and positioning to ensure a flattering image that the guests are happy with before creating the magazine cover. Guests were also given appropriate bespoke props and directed with their positioning and posing. The service went down very well with the VIP guests with a queue at the attraction throughout each of the shows. The National Wedding Show and Confetti magazine were also delighted with the results. If you’re engaged and want to experience the magazine cover photo booth experience and meet a ton of the very best wedding suppliers that the UK has to offer then you have one more chance. Come along to the last National Wedding Show of this season on the 15th and 16th April at London Excel and book yourself a VIP ticket. If you’d like a Smiley Booth at your wedding or event with or without the Magazine Cover Photo Experience click the link below to see our special Wedding Show Packages and Prices. If you are heading to the National Wedding Show at the NEC this weekend then head to the VIP area for your own magazine cover experience. If you are not a VIP ticket holder you can also find us on stand F43. As well as the NEC we will also be at the Manchester National Wedding Show on 9th and 10th March and the London Excel National Wedding Show on 13th and 14th April.